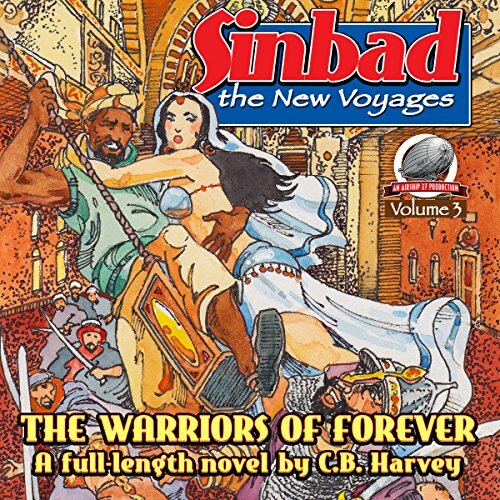 When the undead Warriors of Forever, led by the one-eyed witch, Asentua, attack the peaceful fishing village of the Xubanthali, kidnapping the children, it falls upon Sinbad and the crew of the Blue Nymph to come to their aid. Accompanied by the town elder, Al-Bulcar, and Illia, the beautiful daughter of the village shaman, the Blue Nymph is set on a course of dangerous mystery. To locate the fabled demon horde they must first find the elusive Scholars of Bethsea, for they alone hold the key to solving the riddle of the evil sorceress and the reason behind her abduction of the villagers' young.